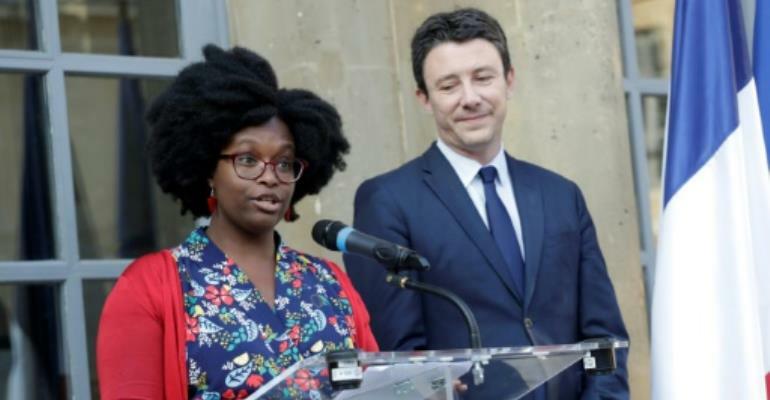 Sibeth Ndiaye, a 39-year-old born in Dakar, only obtained French citizenship in 2016 while working as media advisor for Macron's presidential campaign. She replaces Benjamin Griveaux, whose resignation last week came ahead of a suspected run for Paris mayor next year. "France has given me a lot. Today, it's my turn to give something back," Ndiaye said at a handover ceremony in Paris on Monday, praising her parents for helping her and her sisters "break through glass ceilings". After growing up with a politician father and a mother who was president of Senegal's Constitutional Council, Ndiaye moved to Paris to study at university and became a leftwing student activist before joining the Socialist Party in 2002. "Her nomination is a strong endorsement of diversity in a high-profile job, a promotion and a sign of the president's trust," Philippe Grangeon, one of Macron's top advisers, told French daily Le Monde. "It's a challenge for this engaging young woman, whose path has been quite different from that of a typical government minister," he added. The three new faces in the government are all aged under 40 and keep Macron's pledge for a gender-balanced cabinet in tact. Cedric O, a 36-year-old former treasurer for Macron's campaign whose father is South Korean, has replaced digital affairs minister Mounir Mahjoubi, who is also planning to compete for the Paris mayor job. The reshuffle was prompted by the departure of European Affairs Minister Nathalie Loiseau to head Macron's Republic on the Move list for the European Parliament vote on May 23-26. Her job was taken by Amelie de Montchalin, 33, a Republic on the Move lawmaker heavily involved in building the French budget. "Working on European matters will require plenty of combativeness and plenty of energy," she told BFM television on Sunday.